There are 26 Memory Care Facilities in the La Palma area, with 1 in La Palma and 25 nearby. The average cost of memory care in La Palma is $4,610 per month. This is lower than the national median of $4,650. Cheaper nearby regions include Buena Park with an average starting cost of $3,800. To help you with your search, browse the 55 reviews below for memory care facilities in La Palma. On average, consumers rate memory care in La Palma 5.0 out of 5 stars. Caring.com has helped thousands of families find high-quality senior care. To speak with one of our Family Advisors about memory care options and costs in La Palma, call (855) 863-8283. La Palma, is a small urban community on the western outskirts of Anaheim and is part of a large metro complex in Orange County. Roughly 18 percent of La Palma's 15,700 residents are seniors age 65 and over, and many of them are living with dementia caused by Alzheimer's disease or another neurological impairment. Seniors who need full-time supervision and assistance in La Palma are housed and supervised in the city's 27 memory care facilities. 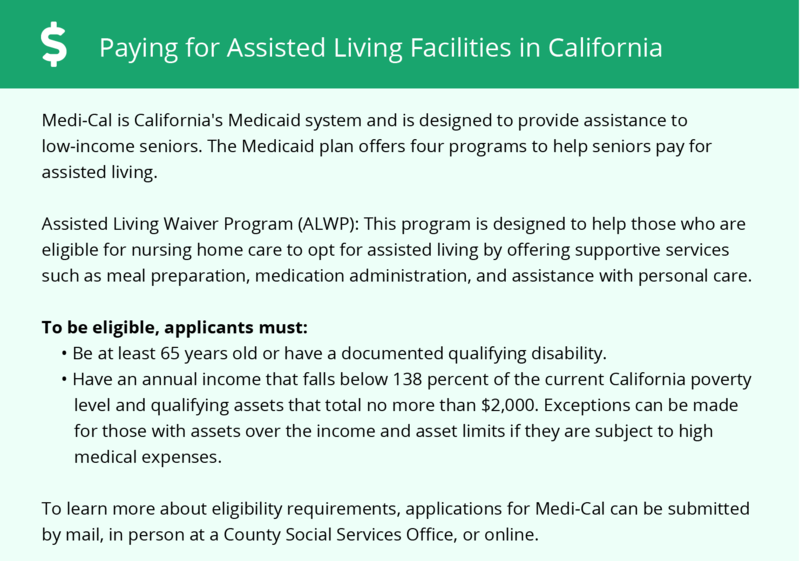 Residential long-term care facilities that provide memory care are regulated under the California Department of Social Services Adult Care Licensing program, which inspects senior facilities statewide. The weather in La Palma is typical of Southern California. Summer highs average 89 degrees, but the mild winter lows dip to a pleasant 47 degrees in December and January. La Palma gets close to 13.5 inches of rain a year, but the region is prone to droughts that can seriously affect the average rain levels for years at a time. Seniors with COPD may be troubled by dust during the driest periods in La Palma, but this is a relatively rare problem. La Palma's cost of living is high by national standards, as well as compared with the rest of Southern California. Overall, the cost of living is almost exactly double the national average, though healthcare costs are just 89 percent the typical price paid in the United States. Much of the extra cost is from the fairly high price of housing. Crime rates in La Palma are relatively low, compared with similar-sized cities in America. Violent crime and crimes against people are significantly less common in La Palma than property crimes and theft, rates for which are roughly half the national average. The La Palma area is home to world-class medical facilities, including those specializing in brain health and dementia care, such as La Palma Intercommunity Hospital and West Anaheim Medical Center, in the event of medical emergencies or illness. Memory Care costs in La Palma start around $4,610 per month on average, while the nationwide average cost of memory care is $4,800 per month. It’s important to note that memory care rates in La Palma and the surrounding suburbs can vary widely based on factors such as location, the level of care needed, apartment size and the types of amenities offered at each community. La Palma and the surrounding area are home to numerous government agencies and non-profit organizations offering help for seniors searching for or currently residing in an assisted living community. These organizations can also provide assistance in a number of other eldercare services such as geriatric care management, elder law advice, estate planning, finding home care and health and wellness programs. To see a list of free memory care resources in La Palma, please visit our Assisted Living in California page. 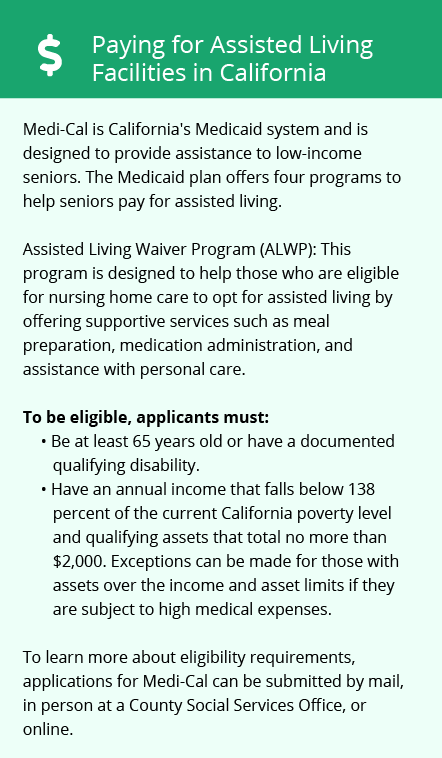 La Palma-area assisted living communities must adhere to the comprehensive set of state laws and regulations that all assisted living communities in California are required to follow. Visit our Memory Care in California page for more information about these laws.